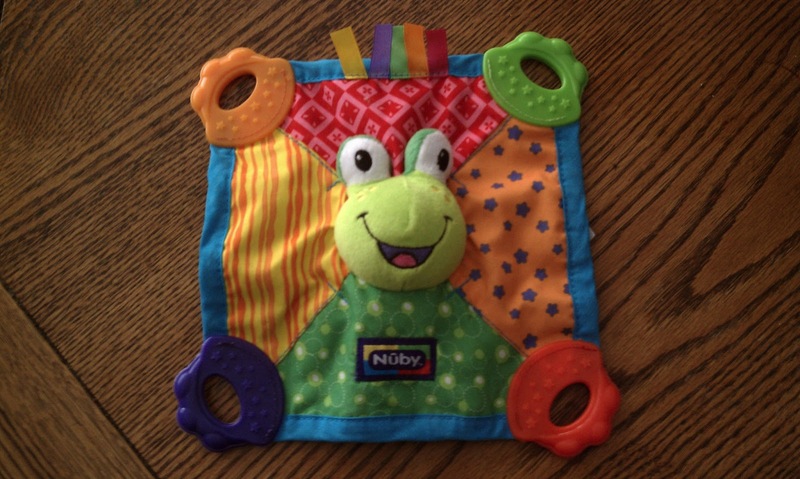 We just joined as an official Nuby Mommy blogger and we will be reviewing some of their great products. PLUS, after Easter we will have a giveaway! 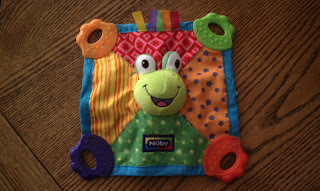 Check out my newest guy with this Nuby Teether Blankie. Designed to comfort and soothe, my guy can't get enough of the light weight product for all ages! The crinkle is the BEST part of this blankie added to the fact that it relieves little ones' teething and ouchie gums. We got the frog--but there are other cute looking ones too! we had one of these for my daughter and she just LOVED it! Aw! 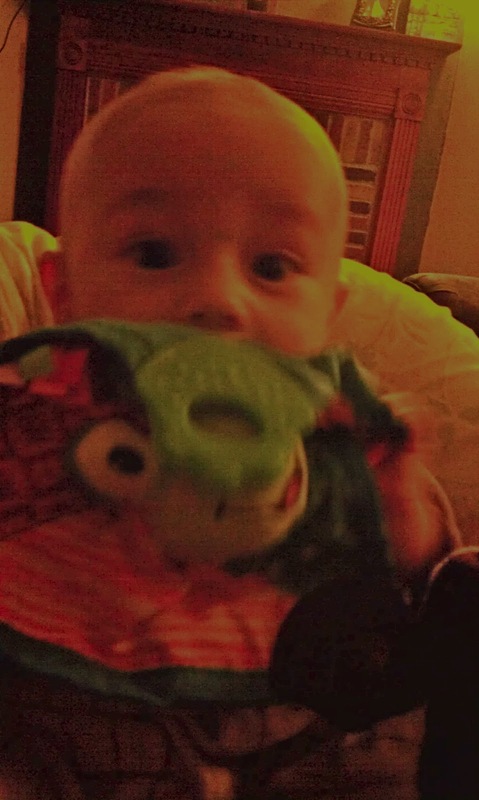 That looks like a fun toy and teether. I've been eying these for a while, but I'm not sure if my son is a little old for it or not. He's 10 months and has four teeth already. He was chewing everything like crazy, but has slowed down the last couple of weeks and is becoming more interested in "playing" with toys. I'm going to get a teething blanket like this for our next little one though, for sure! We love ours too! We have the one with the lion and my daughter loves it!